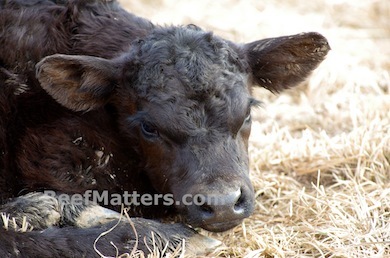 Here’s the thing about cattle: our calendar means nothing to them. Nothing. When we bought a couple of loads of bred cows last fall, the buyer assured us that they were set to start calving in March. That would work perfectly for us. Apparently the cows did not get this memo. This calf was born early this morning. Early this January morning. 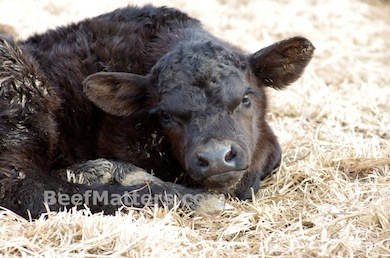 Fortunately, the weather this week has been absolutely perfect for calving! 50+ degrees and no wind. We couldn’t ask for better weather. Even in March. Due to this little guy’s early arrival, I find myself in the odd situation of agreeing with my husband…about the weather, at least. I’m going to have to abandon my hopes for a winter wonderland this year. Instead, I am forced to acknowledge that this mild winter is ideal for the upcoming calving season. I am really look forward to winter…next year! They have a way of surprising us! Gotta love them! Hello from accross the water, just wanted to say great blog, some seriously good info. I run a company called The Traditional Beef Company in Salisbury, Englang. http://www.traditional-beef.co.uk. We dry age our Aberdeen Angus meat for 4-6 weeks but I am experimenting with longer ageing.